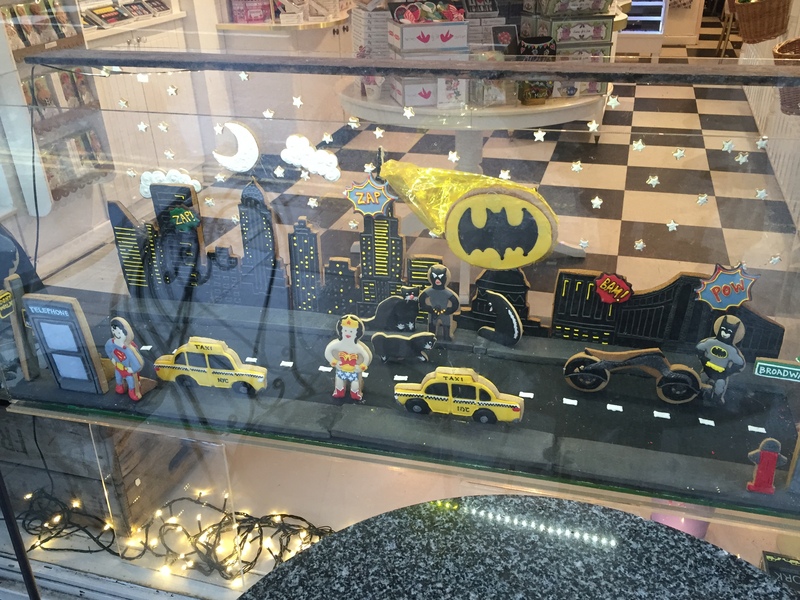 Biscuiteers…the most fashionable biscuits in the city! Why send flowers when you can send biscuits?! 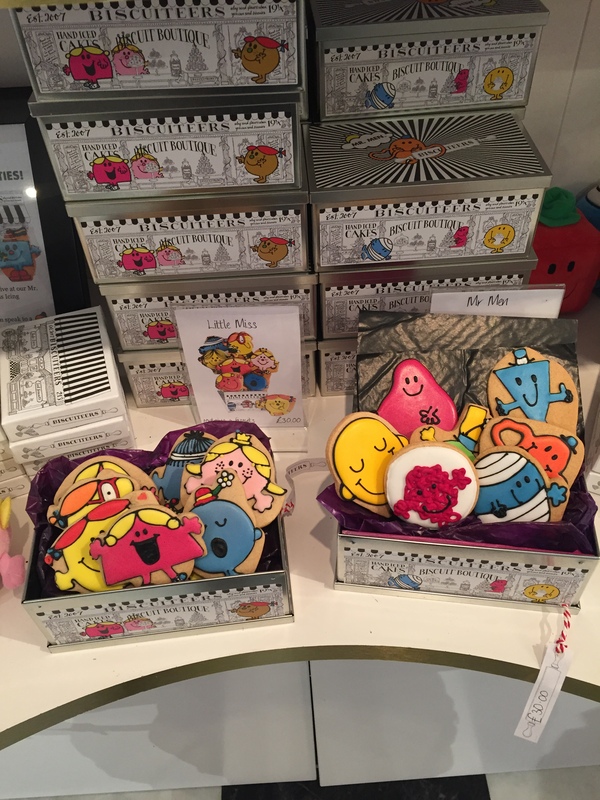 This cute biscuit boutique has got it spot on! 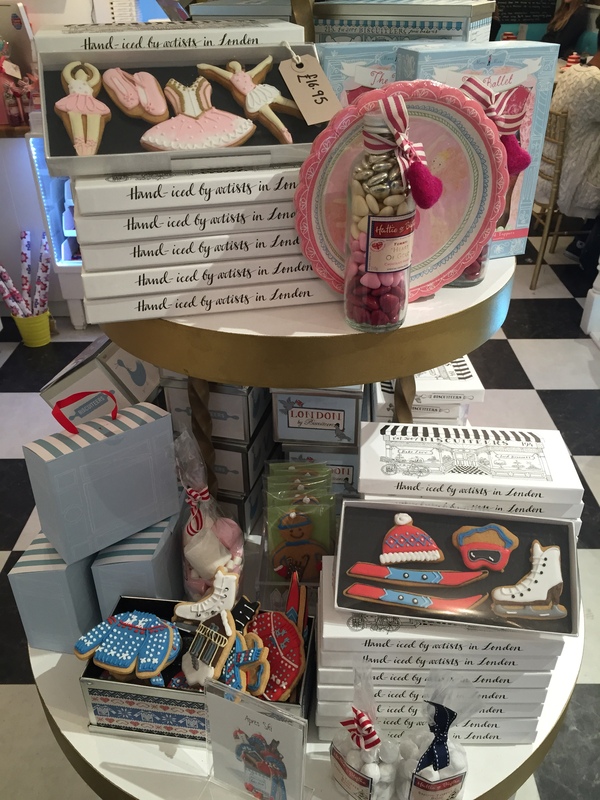 Located close to Notting Hill in the West of London, this biscuiteer was established in 2007 and focuses on hand iced biscuits covering a variety of seasonal themes and collections. 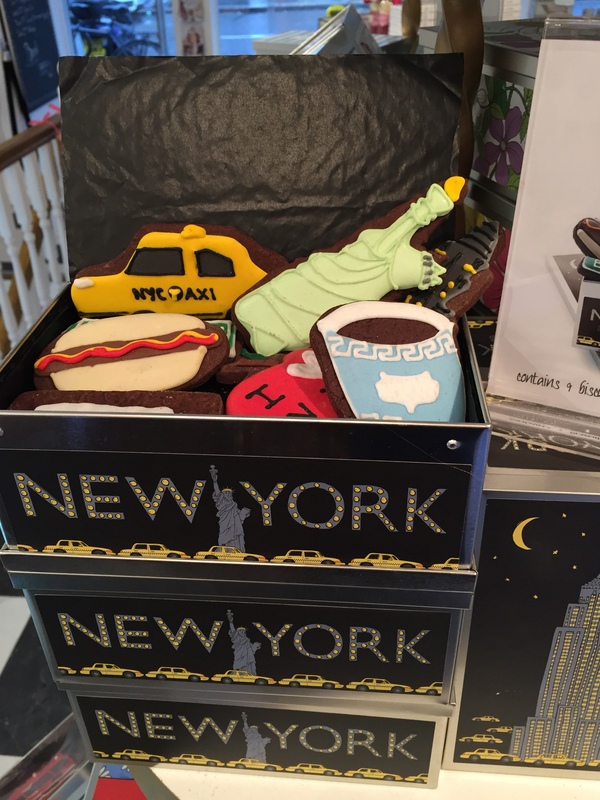 From Mr Men to ballerinas, from fashion garments to well-known City landmarks including New York yellow cabs. Refreshing and unique, designs are distinctive and have intricate detailing. 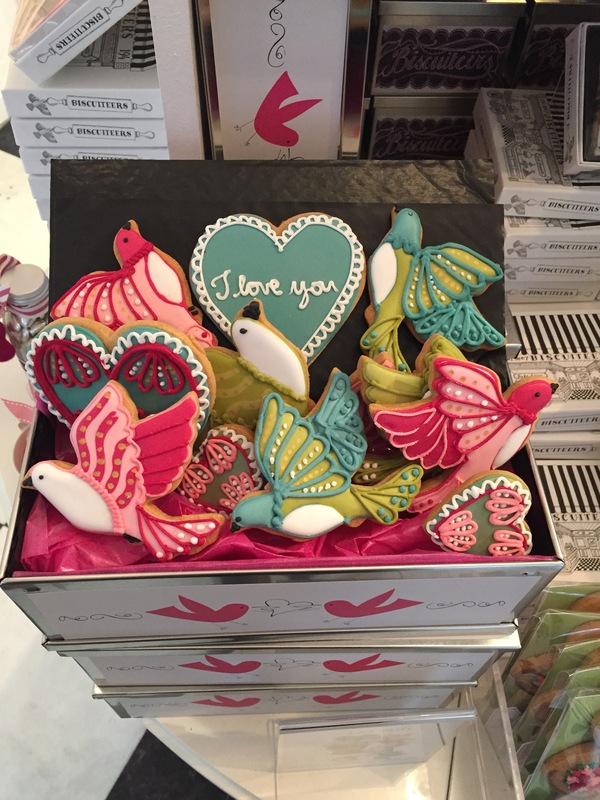 It is evident that there is so much passion that goes into the design and creation making each biscuit stand out in its own right. 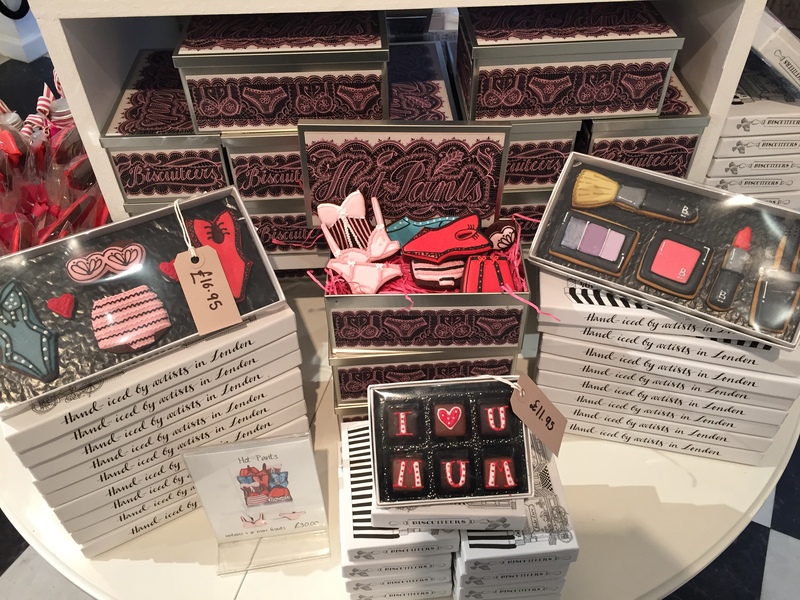 Collaborations have included designers such as Anya Hindmarch, Mulberry and Burberry which focus on logos and handbags. 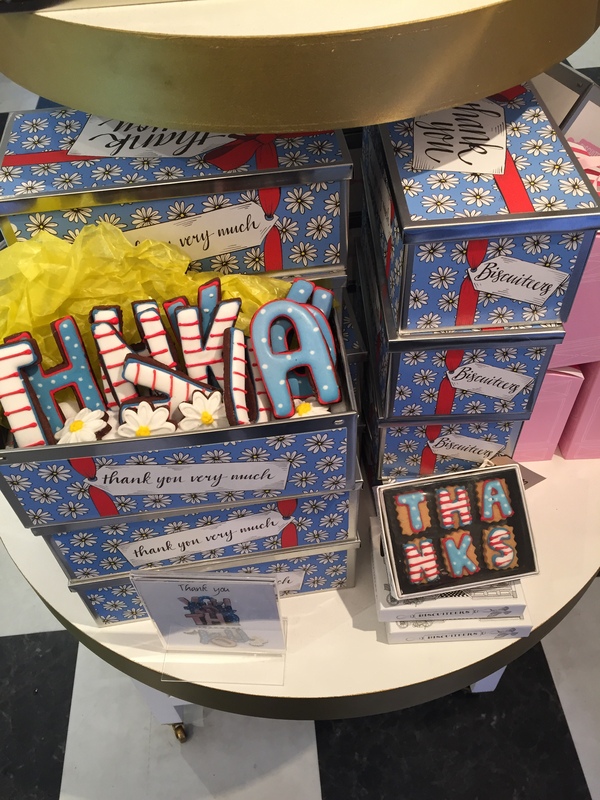 Tins are available with a selection of designs or messages which makes this an excellent way of sending a loved one something quite clearly unexpected and different. 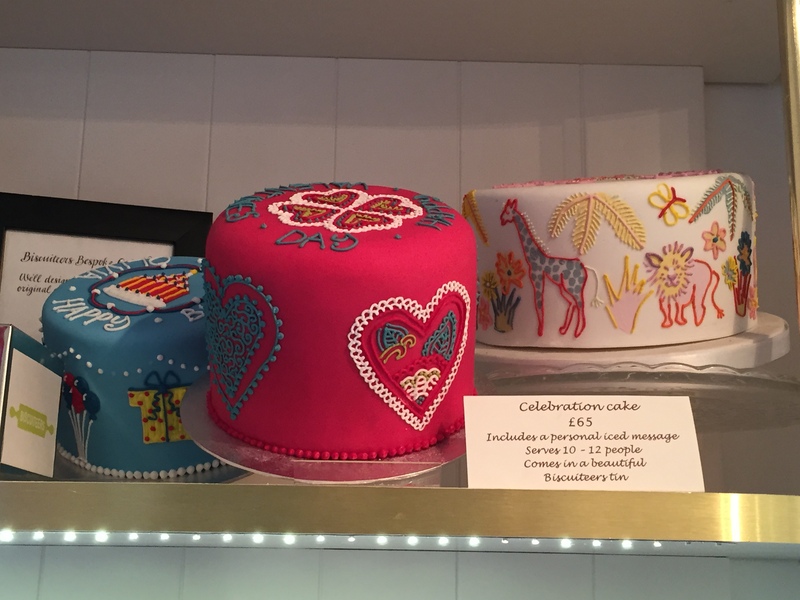 Bespoke celebration cakes can be made to order. They look outstanding and if they are as tasty as the biscuits, then you won’t be disappointed. I have ordered online before to send Thank You gifts, birthday messages and just generally to make my friends and family smile. 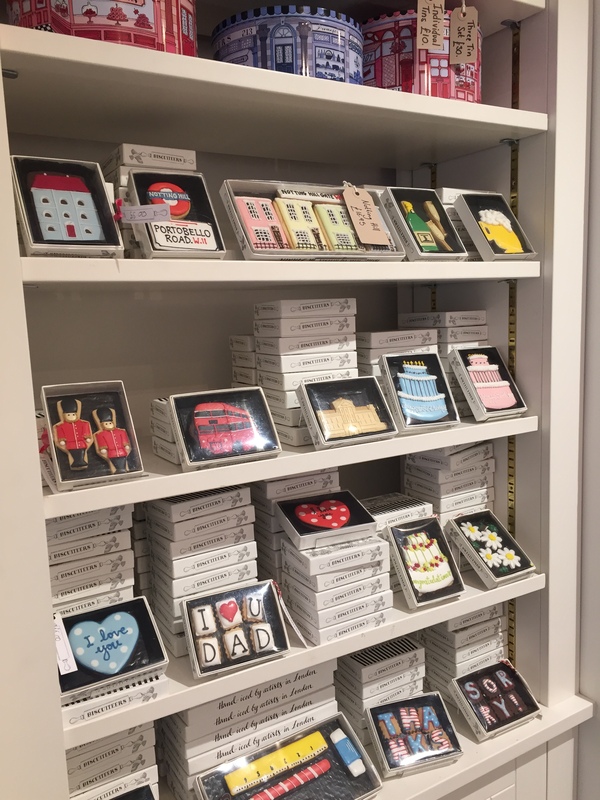 This was the first time that I had visited the store and it’s adorable. Situated on a quaint street, you get the vibe that this is an old fashioned quirky shop. 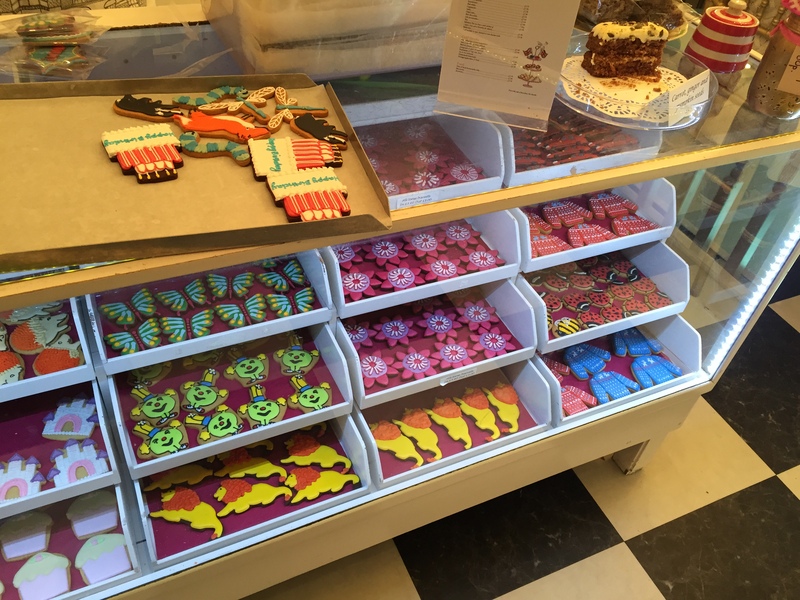 Inside it’s a burst of colours with so many exciting biscuits you will have trouble choosing which ones to check out first and to purchase. I picked up these four below. I absolutely love the cartoon Wham! logo as it takes me back to my childhood. The intricate work on the others is simply breath taking! 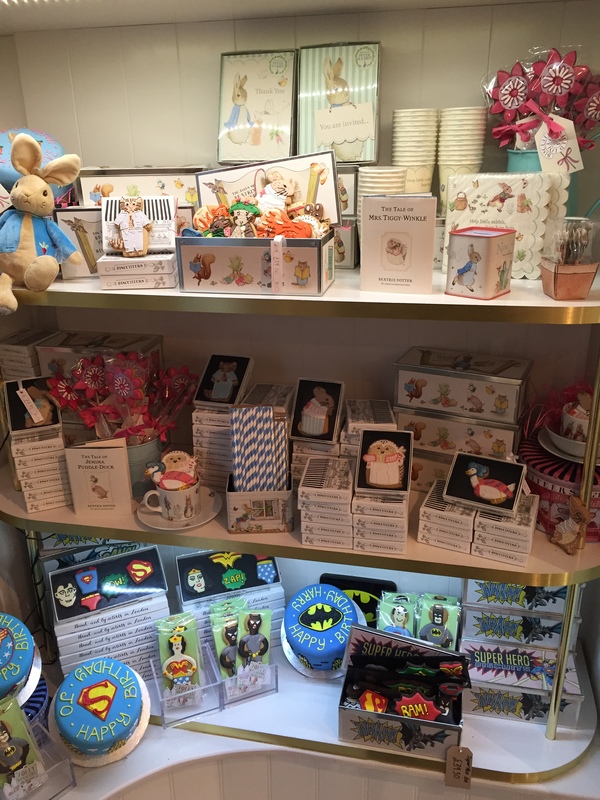 Here are some photos of around the store featuring the tins, cards and chocolates. 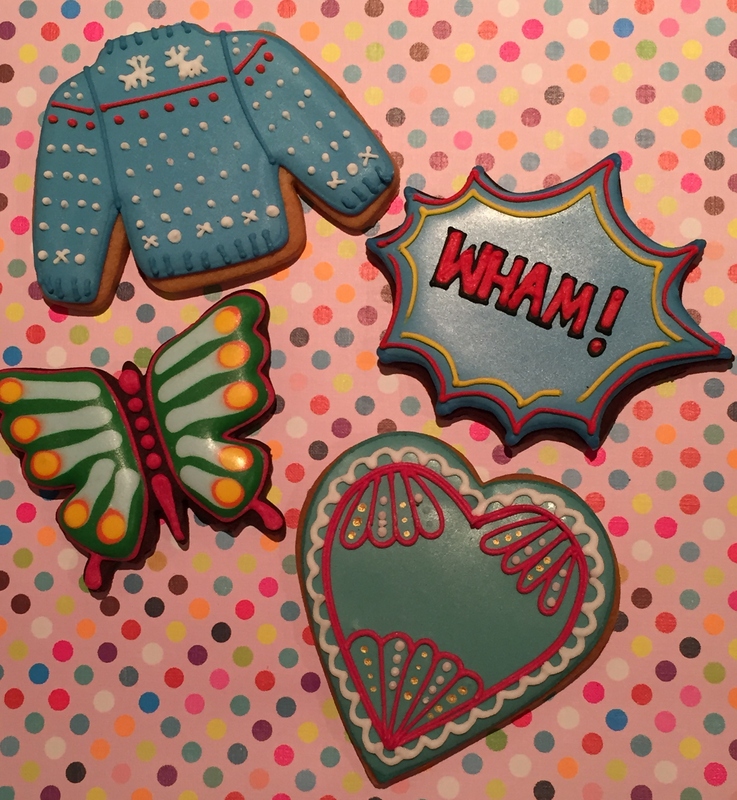 The Biscuiteers do an Icing Class which is a 2 hour course on learning how you too can ice your own biscuits to this standard to wow your friends and family. Prices start from £78. They also offer an Afternoon Tea which features London landmarks such as the Underground logo, Beefeaters and black taxi’s. It is priced £48 for two persons.